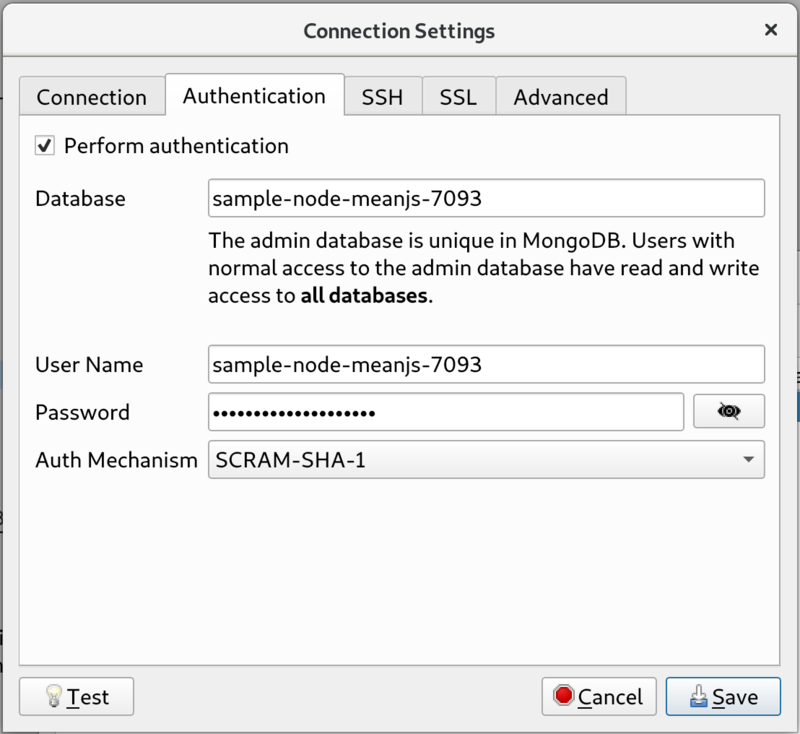 Databases hosted on Scalingo are not by default directly available on the Internet. To access it, a solution is to setup an encrypted tunnel. Robo 3T (formerly Robomongo) lets you configure this tunnel. 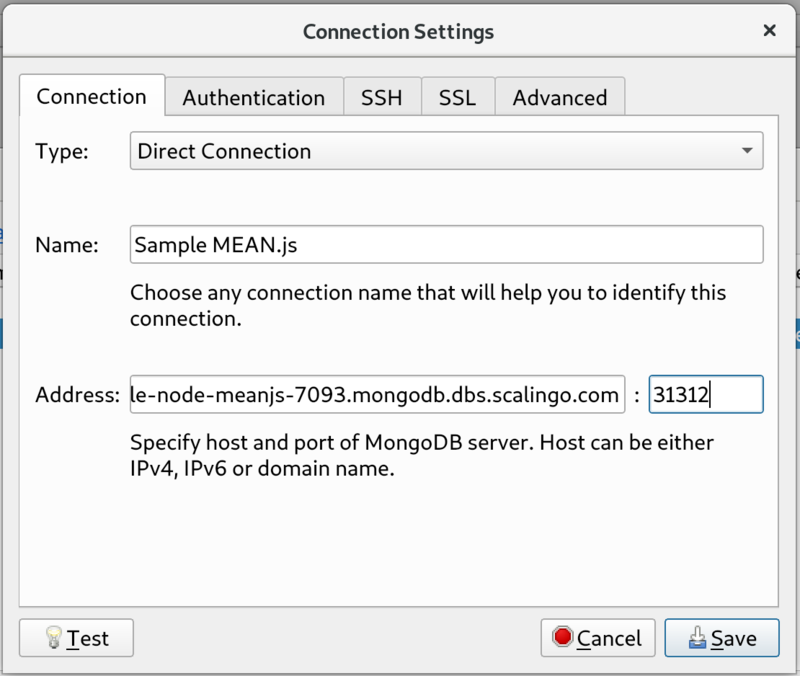 We will guide through the steps to configure the connection to a Scalingo hosted MongoDB through an encrypted tunnel. 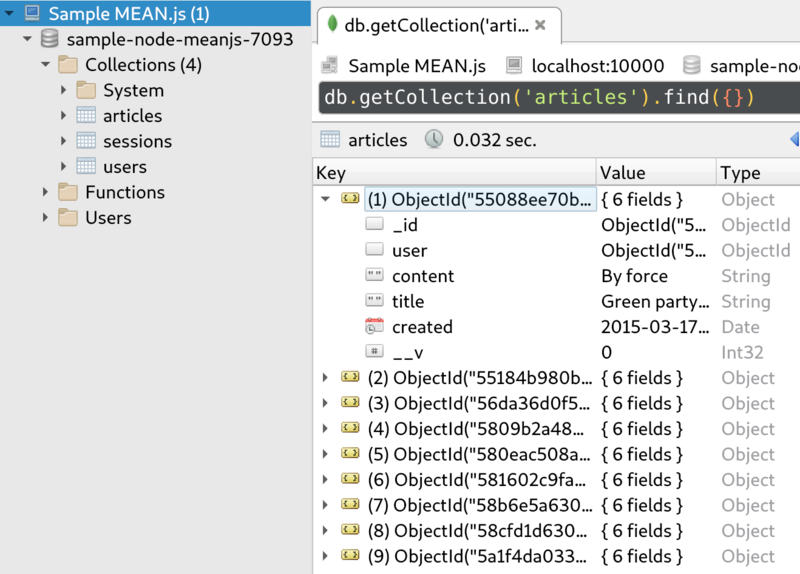 The connection data can be found from the MONGO_URL environment variable of your application. The “Private key” to provide in the “SSH” tab is your private SSH key you uploaded on your Scalingo profile. Validate the configuration and click on connect, that’s it. 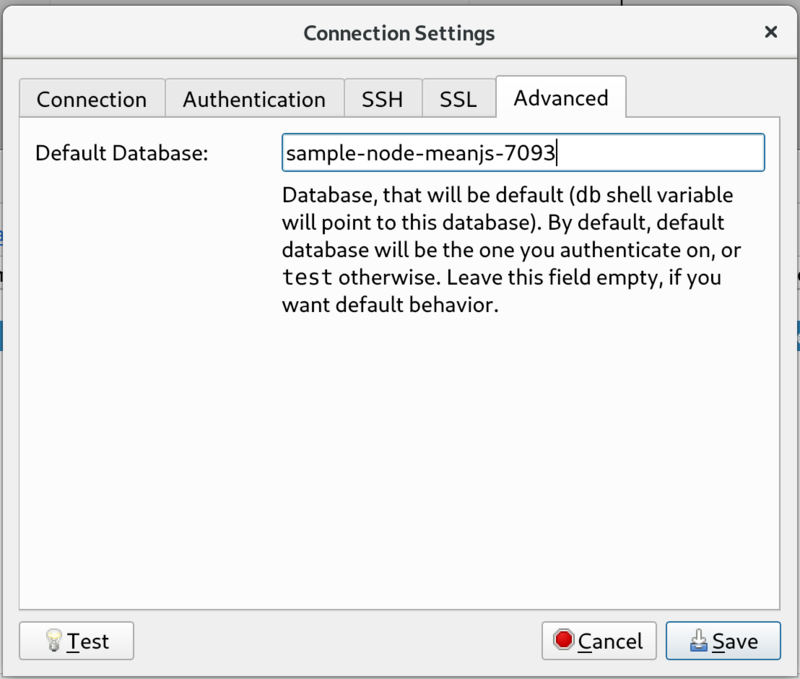 As a replacement to using an encrypted tunnel to connect to your database, you can make it available on the internet from your database dashboard. You must first force TLS connections. 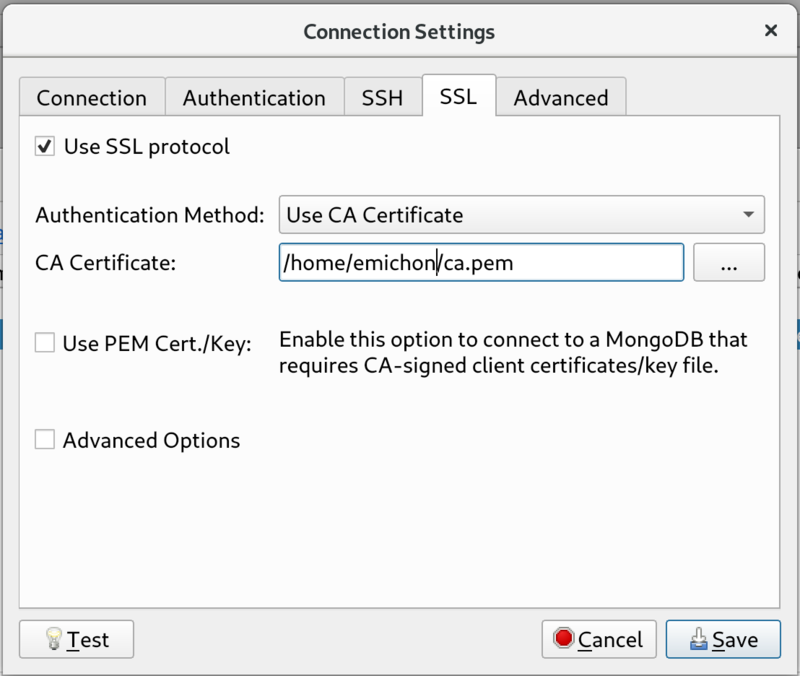 The “Certificate Authority” is downloadable here.